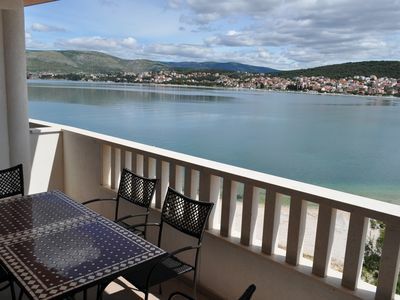 Apartments Iskra are located in the centre of Povlja, a small fishery village. 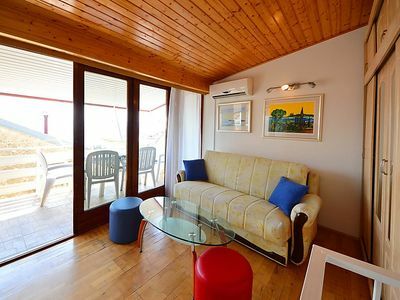 All rooms have a balcony with sea view featuring air-conditioning and free Wi-Fi. 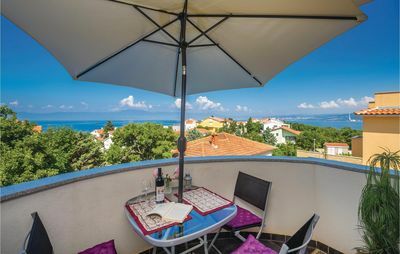 Guests can use the shared terrace with barbecue and a seating area, while parking is free on the nearby streets. The owners also have a restaurant, located 30 m from apartments and featuring traditional Mediterranean specialties. A grocery store is 50 m away. This apartment consists of one bedroom with one with double-bed. The kitchen in apartment is fully equipped and ready for use. Towels and bed linen are provided. 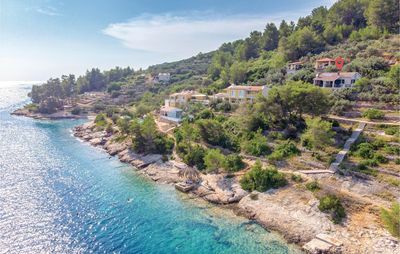 A pebbly beach can be found 200 m from apartments Iskra. Your hosts can help you arrange boat rental and fishing tours. Povlja is locally known for beautiful beaches, small surrounding bays and rich history. It is ideal for family holiday with no mass-tourism and with authentic local touch. Activities such as boat-trips, fishing and sailing are well recommended and the owners will be happy to help you organize your time. Local bus stops 30 m away and drives to Supetar and Bol. Ferry Port is in Supetar, 45 km away and in Sumartin, 7 km from the villa. Bol is 35 km away and features an airport. Iskra has been welcoming for more than 20 years! Povlja is a small village with only about 250 inhabitants, located on the northeast side of the Island of Brac, deep in the bay. The name Povlja originated from the Latin word vallis meaning bay. The village is known in whole country for the largest old Christian basilica on the island, Povaljski prag and Povaljska listina – oldest written document in Croatian language. 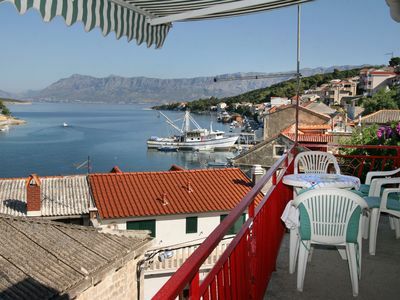 Fishing boats and nets by the waterfront guarantee a good gastronomic offer in Povlja. 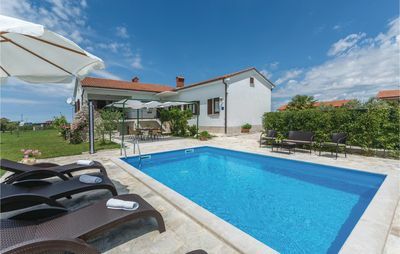 Povlja is a small, quiet destination, located about ten kilometers from Sumartin which is connected to the mainland by ferry service. Another ferry connection is Supetar, largest settlement on the island. 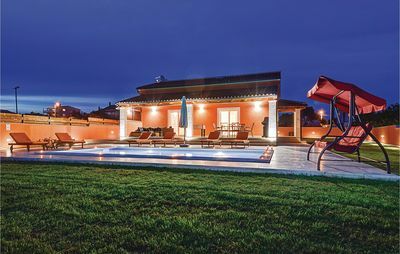 The village doesn't have any hotels, but visitors can find accommodation in private villas and apartments. Povlja also has several taverns and restaurants with local specialties, mostly based on fish and a few meat dishes that are specific to Brac, and some international dishes. 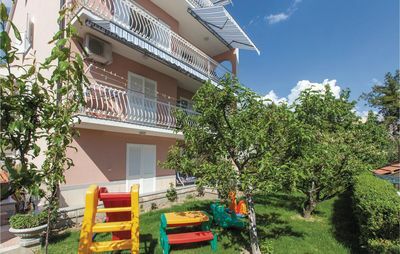 Other than tourism and apartment rental, inhabitants of Povlja engage in agriculture, olive growing and fishing. Village of Povlja is surrounded by nice beaches and coves: Kljucna, Tocinjak, Tatinja, Travna, and Smokvica. 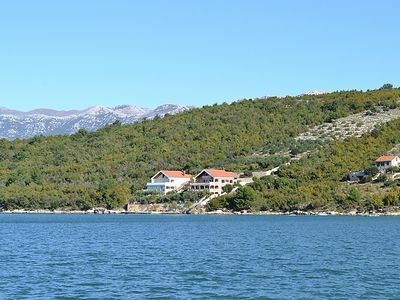 Other than resting and swimming, Povlja also offers fishing, sailing or boat rentals. Evenings in Povlja are romantic with quiet music from local restaurants and bars and the local harbor is often filled with music from boats and yachts that are docked in the harbor.